he needs to improve to reach the 82 attack,79 was more accurate. At least he proved in Copa Libertadores, reminded me of Wanchope using his body well to stand pressure and create chances. 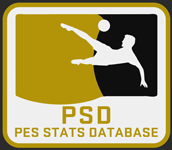 Btw Basilio, Please could you change the first post to PES Stats Database?